Screenshot via @MeetThePress/TwitterSen. Marco Rubio took Facebook to task on Sunday. 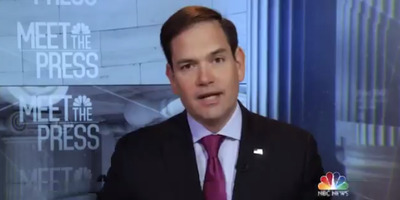 Rubio told NBC’s Chuck Todd that he was “disturbed” by the news, and criticised Facebook for behaving like they are above the law. 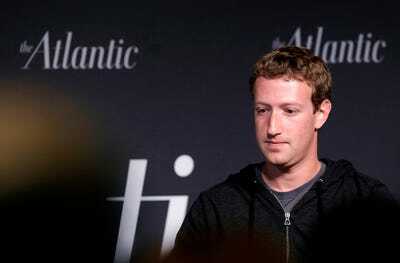 Win McNamee/Getty ImagesSenators want Facebook CEO Mark Zuckerberg to testify. Cambridge Analytica is a British company that was created by right-wing financier and hedge fund manager Robert Mercer, who was also until recently a major donor for the right-wing site Breitbart News. The company specialises in “psychographic” profiling that allows them to paint a picture of online users and then use this information to target them with political campaign ads.